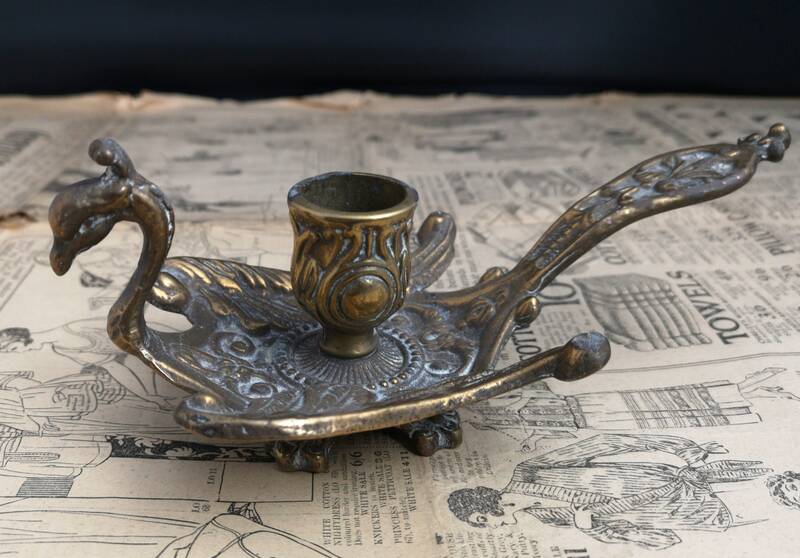 A highly decorative Indian brass chamberstick modelled as a peacock. 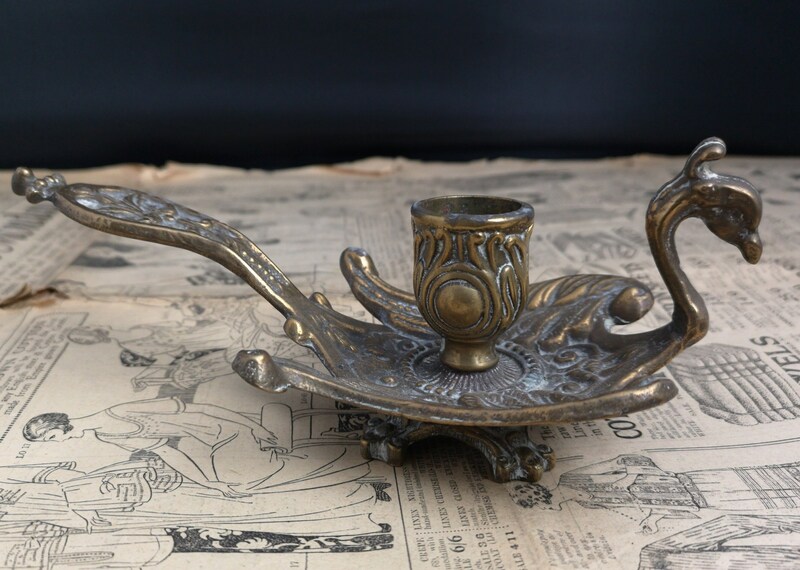 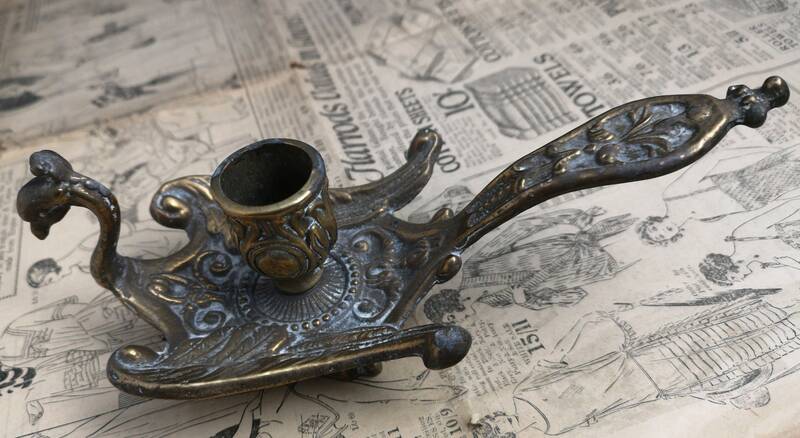 Very detailed and made from strong and heavy solid brass, it has four feet and the handle becomes the tail. 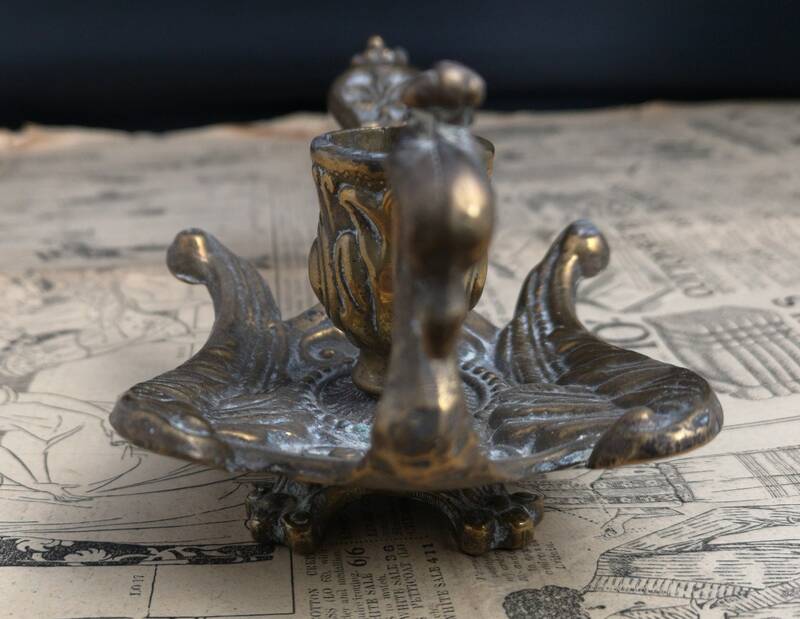 It fits a single candle, lots of patina but could be polished to a high golden shine. 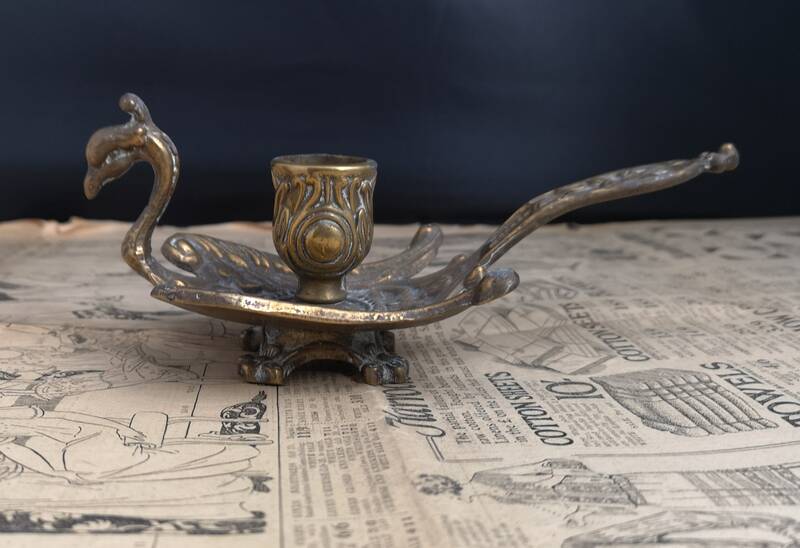 Approx 8" length, 3.5" width and 3" height.